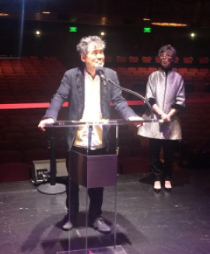 ​At a live event on stage at the Curran, Carole Shorenstein Hays announced the entire inaugural season of her newly reopened and reconceived Curran Theater. #Curran2018, as the season is dubbed, will include the Tony Award-winning musical, Dear Evan Hansen, as well as three bold new works: Soft Power, Taylor Mac's Holiday Sauce, and the pre-Broadway engagement of Head Over Heels. In addition to these four anticipated productions, Curran's popular series of one-night-only events, Show & Tell, will continue with an allstar line-up. Season subscriptions are now on sale. 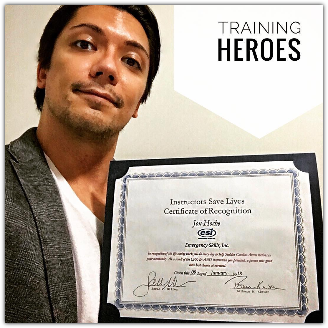 For those who do not know, when I'm not acting I teach First Aid & CPR classes. I also teach people how to use an AED (automated external defibrillator). Recently at my company's holiday party I was awarded a certificate in recognition that someone this year had the courage to actually use the techniques I had taught them. It really drives home the idea that I get to train heroes each and every class. My goal is to have people leave with the knowledge and confidence to step in and step up when someone needs help. I'm really proud of this certificate. So happy and excited to head into another production of "Little Shop of Horrors". This time around I'll be performing this incredible show at The Gateway Playhouse. I'm very excited because the theater has acquired the puppets from the national tour which are different from the ones I've used previously. I love this show and this character. So happy to be returning to it. 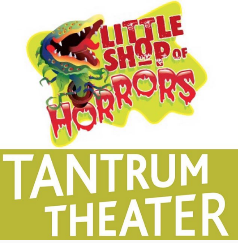 I'm very honored to be apart of the inaugural production of Tantrum Theater. A new professional AEA theater based out of Ohio University, performing in Dublin, Ohio. I'm also VERY EXCITED to be puppeteering the puppets for Little Shop of Horrors. It's really a puppeteer's dream.